Almost all first use and addiction to tobacco occurs before high school graduation. The CDC and other research studies indicate that most people will likely never start smoking if they are kept smoke-free when they are teens. Similar to adults, most adolescent smokers are addicted to nicotine and report that they want to quit, but they have just as much, or possibly even more difficulty doing so, since some studies show adolescents are more susceptible to nicotine addiction than adults. Adolescent smokers also have the most to lose over time, since negative health effects increase with the number of "pack years" (the number of years smoked times the number of packs of cigarettes smoked each day). Smoking during early childhood and adolescence contributes to increased severity of respiratory illnesses, coughing, shortness of breath, decreased physical fitness, poor lung growth and function, and worse overall health. Smokeless tobacco users may also have increased gum degeneration, oral lesions and risk of throat or mouth cancers. Several studies have shown that tobacco use in adolescence was associated with increased use of alcohol, marijuana and other drugs; increased high risk sexual behavior; lower self esteem; lower levels of school achievement, depression, attempted suicide, getting into fights or carrying weapons, and fewer skills to resist the influence of peers and the media to use tobacco. Tobacco companies specifically target adolescents in promotional and media campaigns in films and television, sporting events, billboards, cartoon characters, and displays because they are more easily persuaded that smoking looks cool and is desirable. Schools, parents, community centers and smoking prevention programs play a major role in counteracting peer, media and tobacco industry pressure to smoke. 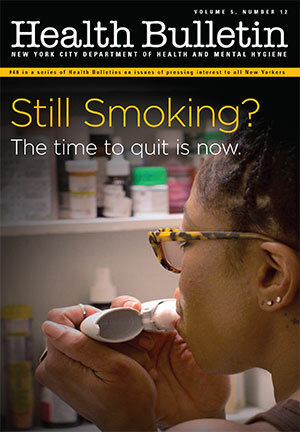 The CDC offers information on ways parents can keep their kids tobacco free, including the most important of all, taking a strong interest in their friends and daily activities and talking with them about health issues and the "false glamorization" of tobacco in the media, such as movies, TV, and magazines. There are a number of excellent smoking prevention programs available for you and your child through local and national sources.